Full power in a full range: The Turbine has proven to be one of the best light-wind kites ever made. For 2017, Slingshot is unleashing this high-aspect, high-efficiency machine in a full range of sizes. All the same qualities that make the Turbine such a great light wind kite translate to an aggressive, high-power, high-performance weapon as you go down in size and up in wind speed. 15, 17, 19 meter: The proven light wind kite of choice for riders of all abilities. The Turbine’s high-aspect, high-efficiency profile gets you out and riding when others watch from the shore hoping for the wind to pick up. 11, 13 meter: Perfect for intermediate to advanced riders who want a massive dose of spice on those moderate-wind days, or as a full light-wind kite for smaller riders. This range yields long, lofty airs, aggressive upwind angles and more power than any kite of the same size. 5, 7, 9 meter: Massive air, lofty hangtime and aggressive, high-power freeride performance. 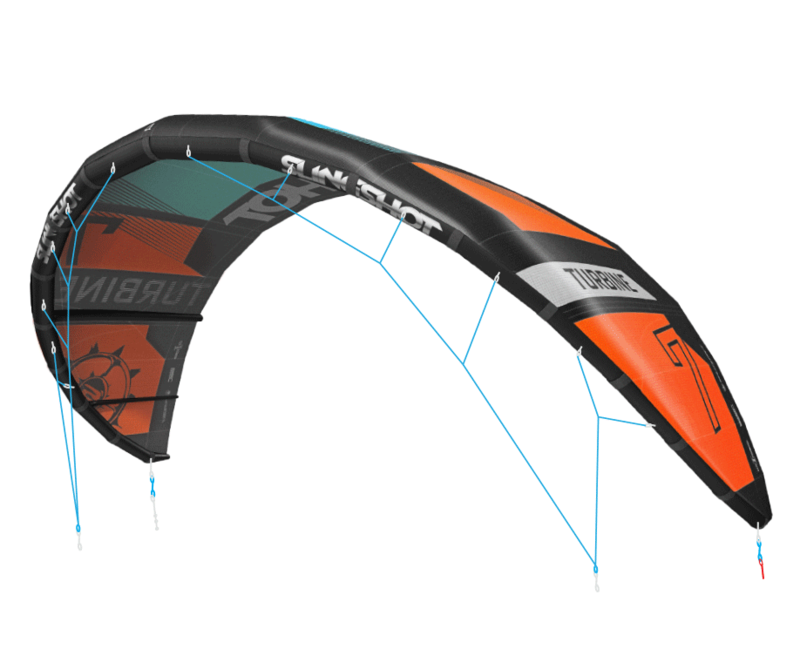 Described as “a Rally on steroids”, this size range is perfect for experienced riders who are ready to take their riding to the next level, and for foilers looking for competition-level performance out of a small kite. * Kite-down: The Turbine is a high-power kite. For that reason, we recommend kiting down at least one size from what you would normally ride.